This picture is interesting because this tanker was lost 44 days later, on July 1st, 1972 while on duties at the Pacific Nuclear Test Center. 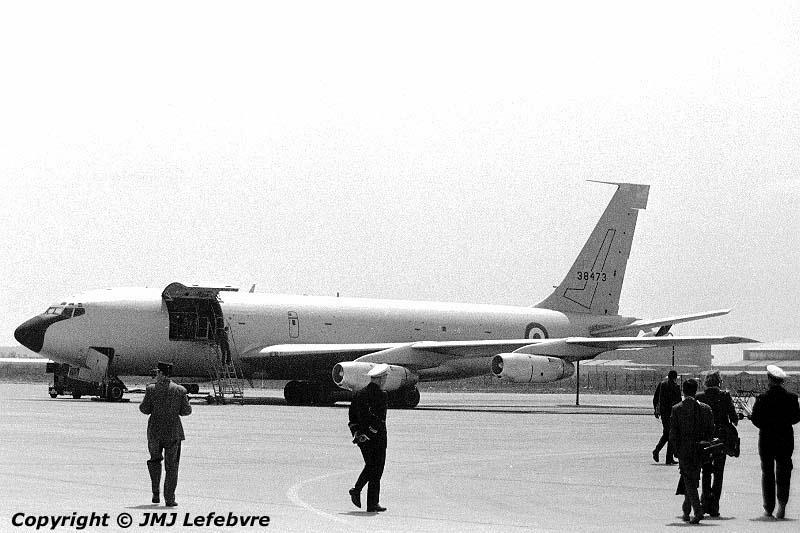 Today, it remains the sole C-135 F lost by French Armée de l'Air of the twelve C-135F delivered during 1964. Most visible of all the aircraft housed on the giant Istres Air Base, this C-135Fs belonged then to Squadron ERV 4/93 Aunis. Here the Boeing has USAF serial 63-8473 with C/n 18682; registered F-UKCD its fuselage code CD located between wing root and the french roundel is hidden by wing. Though directly ordered to Boeing the aircraft were delivered with their USAF serials on tail and never removed.